In 1969 it was the orbiting home and refuge for the first astronauts who walked on the moon. Today, after decades on display in a Smithsonian museum, the module is being restored for a national tour. 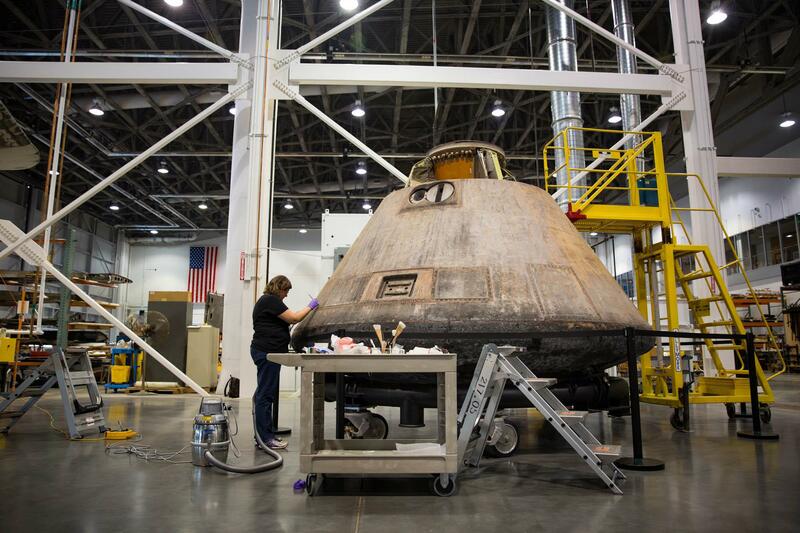 The Apollo 11 command module, which took the first moonwalkers to lunar orbit and back in 1969, is undergoing a painstaking restoration, in preparation for an unusual national tour later this year. Newly restored footage of the historic 1969 moonshot widens the focus to include the hundreds of men and women who made the mission possible. Tiny Desk alums Conor Oberst and Phoebe Bridgers surprised us all with their stunning collaboration this year as Better Oblivion Community Center. Together they radiate joy at the desk. The National Sheriffs' Association has published a detailed guide to jail-based medication-assisted treatment. States hardest hit by opioids are moving fastest to get inmates the help needed to quit.